12 Apr US President Roosevelt dies, to be succeeded by President Truman. 15 Apr British troops liberate concentration camp at Bergen-Belsen. 30 Apr Hitler commits suicide. 2 May Surrender of Berlin to Soviet troops. 8 May Unconditional surrender of all German armed forces to the Allies (VE Day). 12 May Allies announce general ban on publishing in Germany. 22 May Field-Marshal Montgomery appointed Military Governor of British Zone. 23 May Montgomery prepares British Control Commission to leave London and assume responsibility for the civil administration of Germany: “Between us we have to re-establish civil control, and to govern, a country which we have conquered and which has become sadly battered in the process”. 10 June Political parties permitted in the Soviet Zone. 12 June British troops instructed that the non-fraternisation orders no longer apply to “small children”. 25 June First screenings of concentration camp documentary, Welt im Film 2 (also known as KZ), alongside other films. 26 June Schiller’s Der Parasit opens at Deutsches Theater (Berlin) – later banned by the authorities. 1-4 Jul US and British troops withdraw from Saxony, Thuringia, and Mecklenburg (now part of Soviet Zone). US, British, and French troops assume responsibility for their sectors of Berlin. 5 Jul UK general election held. Results not announced until 26 July. 14 Jul Non-fraternisation orders relaxed, permitting British and US troops to enter into “conversation with adult Germans in the streets and in public places” but not to enter their homes. 17 Jul Potsdam conference opens in Berlin, to decide future of Germany. Attended by Truman (USA), Stalin (USSR), and Churchill (UK). 25 Jul General Brian Robertson arrives in Germany as Deputy Military Governor of the British Zone. 26 Jul UK general election results announced: landslide victory for Labour. Prime Minister Clement Attlee replaces Chruchill as British representative at the Potsdam conference. Ernest Bevin appointed Foreign Secretary. 1 Aug First issue of Frankfurter Rundschau (Frankfurt/Main). 2 Aug Potsdam conference closes. Agreement reached on: division of Germany into four zones of occupation, Germany’s eastern borders, reparations to be paid to the Allies, and the principles of governing occupied Germany (“the four Ds”): Disarmament, Denazification, De-industrialisation, Democratization. 3 Aug Thornton Wilder’s Our Town opens at Deutsches Theater (Berlin), dir. Bruno Hübner – banned by Soviet authorities in early Sep.
6 Aug Atomic bomb explodes over Hiroshima. 15 Aug Surrender of Japan and end of the war in Asia (VJ Day). 30 Aug First meeting of Allied Control Council, intended to coordinate policy across the four zones. Council comprises the US, UK, Soviet, and French military governors, their deputies and staff. 2 Sep Beethoven’s Fidelio opens at Deutsches Opernhaus (Berlin), dir. Hans Wenzel, conductor: Robert Heger. 3 Sep Control Commission for Germany, British Element (CCG(BE)), assumes full governmental authority for British Zone. 10 Sep Montgomery issues new directive on Military Government for British Zone, emphasizing reconstruction rather than the “four Ds” of Potsdam. 13 Sep Prime Minister Attlee meets delegation of church leaders protesting against the expulsion of Germans from territories east of the Oder-Neisse line. Around 5 million German refugees eventually accommodated in the British Zone from 1945-1951, exacerbating problems of food and housing. Similar numbers flee to US and Soviet zones. 14 Sep Julian Hay’s Gerichtstag opens at Deutsches Theater (Berlin), dir. Gustav von Wangenheim. 15 Sep Military Government ordinances 8-12 restore freedom of expression, permit public meetings in the British Zone, and regulate the formation of political parties. 22 Sep Radio Hamburg (founded 4 May 1945) becomes Nordwestdeutscher Rundfunk (NWDR), a broadcasting organisation for the entire British Zone, led by Hugh Greene. 25 Sep Allied Control Council agrees to withdraw most of the non-fraternisation orders. Remaining restrictions in British Zone: troops may not be billeted with Germans, marriage between British and Germans still forbidden. 27 Sep First issue of Der Tagesspiegel (Berlin, US Sector). 5-7 Oct German Social Democratic Party (SPD), banned by the Nazis in 1933, re-forms for the Western Zones at the Wenningsen conference. 6 Oct First issue of Süddeutsche Zeitung (Munich). 17 Oct First issue of Die Neue Zeitung (American zonal newspaper). 22 Oct John Hynd becomes British Minister for Germany, based in London, heading the Control Office for Germany and Austria (COGA). 20 Nov International Military Tribunal opens in Nuremberg to try 24 Nazi political and military leaders, and industrialists, for war crimes. 22 Dec Ruhr coal mining businesses confiscated by British Military Government and taken into public ownership under trusteeship of North German Coal Control. 22 Jan Konrad Adenauer appointed chairman of the newly-formed Christian Democratic Union (CDU) in the British Zone. 22-27 Jan Elections held in the US Zone in communities of up to 20,000 inhabitants. 25 Jan First public screenings of concentration camp documentary Die Todesmühlen, dir. Billy Wilder. 21 Feb First issue of Die Zeit (Hamburg). 4 Mar Daily food ration in the British Zone cut from 1,500 calories per day to near starvation level of 1,133. Ration remains below 1,500 calories until May 1948. 5 Mar Winston Churchill gives “Iron Curtain” speech in Fulton, Missouri. 17 Mar First screening of Humphrey Jennings’ documentary A Defeated People at Tivoli cinema in London. 22 Mar First issue of Telegraf (Berlin, British Sector). 28 Mar “Level of Industry” agreement between the four Allies imposes severe restrictions on the future development of German industry. 29 Mar First issue of Der Spiegel (initially called Diese Woche). 31 Mar A referendum among German SPD members in the western sectors of Berlin rejects fusion with the KPD (German Communist Party). 2 Apr First issue of Die Welt (British zonal newspaper). 9 Apr Hugh Dalton, UK Chancellor of the Exchequer, announces in his budget speech that occupation of Germany will cost British taxpayers £80 million in the current financial year, largely due to cost of importing food. He describes this as “paying reparations to Germany” adding that, as Chancellor “I grudge the money”. 21-22 Apr Fusion of SPD and KPD in Soviet Zone to form Socialist Unity Party (SED). 25 Apr First session of Allied Council of Foreign Ministers (CFM) meeting in Paris (ends 16 May). 1 May Marshal of the Royal Air Force Sholto Douglas replaces Montgomery as Military Governor of British Zone. 3 May Gustaf Gründgens returns from prison to star in Carl Sternheim’s Der Snob at Deutsches Theater (Berlin), dir. Fritz Wisten. 18 May Four civilian regional commissioners take over responsibility for civil administration of British Zone at regional level from military Corps Commanders. 7 June “Germany under Control” exhibition opens in London (until 5 Aug, attended by 220,646 visitors). Purpose of the exhibition: “enlightening of the British public in regard to the problems and tasks of the Control Commission for Germany […] and the action which is being taken to deal with these problems”. 15 June Second session of the Council of Foreign Ministers (CFM) opens in Paris (ends 12 July). French Foreign Minister Georges Bidault recommends separation of Rhineland from Germany and internationalisation of Ruhr. Soviet Foreign Minister Molotov opposes this, advocating a united Germany. US Secretary of State Byrnes proposes 25-year demilitarisation treaty, also rejected by the Soviets, who require immediate steps towards full disarmament of Germany. 10 Jul UK Foreign Secretary Ernest Bevin announces to the CFM that if the four Allies are not prepared to administer Germany as a single economic entity, Britain may need to organise its zone to reduce the cost to the British taxpayer. US Secretary of State Byrnes offers to cooperate economically with any other zones willing to do so. 12 Jul The Paris CFM closes without further agreement. 21 Jul Labour government introduces bread rationing in Britain to ensure adequate supplies are allocated to Germany by the US, the largest global exporter of wheat, at a time of worldwide food shortages. 29 Jul Bevin announces in the House of Commons that he has accepted Byrnes’ offer of economic merger between the US and UK zones. 31 Jul UK government relaxes the ban on marriage between British and Germans, subject to conditions including commanding officer’s approval and positive vetting of prospective bride. 9 Aug Charlie Chaplin’s The Great Dictator screened for select audience of German film makers in Berlin. Allies decide against the film’s general release in Germany. 15 Aug Alfred Andersch founds the political and cultural journal Der Ruf (Munich). 20 Aug Iron and steel industries in the British zone confiscated and placed under trusteeship of North German Iron and Steel Control. 6 Sep US Secretary of State Byrnes gives a speech in Stuttgart, confirming that US policy in Germany will be re-directed towards reconstruction, and that US troops will not leave before the other Allies. 9 Sep UK government approves a new directive instructing Military Government to accelerate decentralisation of government in the British Zone and devolution of power to the Germans. 15 Sep Local elections in towns and rural districts of British Zone (US Zone elections had been held earlier, Jan-May 1946). 1-2 Oct Verdicts of first Nuremberg trial announced: 12 death sentences, 7 prison sentences, 3 acquittals (one died before end of trial; one judged medically unfit to stand trial). 13 Oct Elections for town and district councils in the four Länder of British Zone: Lower Saxony, North Rhine-Westphalia, Schleswig-Hostein, and Hamburg (Land elections in the US Zone were had been held earlier, June 1946). 16 Oct Hermann Göring commits suicide, avoiding his sentence of death by hanging. 20 Oct Elections in the Länder of the Soviet Zone. 3 Nov CFM meeting in New York (until 12 Dec). No significant decisions made on Germany’s future. 1 Dec Ordinance no. 57 devolves responsibility for many areas of administration (education, public health, local government) to German Land and local authorities in the British Zone. 1 Jan Economic merger of US and British Zones into “Bizone”. 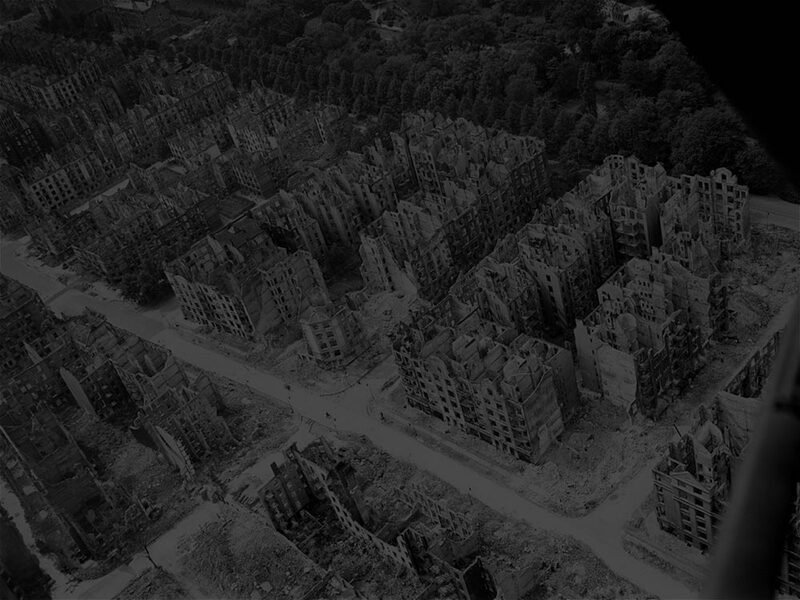 Jan Victor Gollancz publishes In Darkest Germany, following a visit to the British Zone (Oct-Nov 1946). 4 Jan First issue of Der Spiegel (Diese Woche) published in Hanover. Feb Representatives of two leading British publishers (Cassell&Co., Duckworth&Co.) visit British Zone, concluding that “the selections of the [Book Selection] Committee are not in accord with the requirements of Germany at the present time”. 5 Mar Vaughan Berry, British Regional Commissioner for Hamburg, reports the exceptionally cold weather as “the outstanding feature of the month”. The winter of 1946-47 is the coldest in Germany in living memory. The economy grinds to a halt: many factories cease production for three months, ships unable to unload due to thick ice, frequent power cuts. Thousands of people steal coal from trains. 10 Mar CFM meeting opens in Moscow (ends 25 April). All participants reiterate their previous positions, and the meeting lapses without agreement. 12 Mar U.S. President Harry S. Truman announces new doctrine of U.S. foreign policy to “fight communist tyranny”. 22 Mar First officially approved marriage between a British soldier and a German woman held in Lüneburg. Around 10,000 British soldiers marry German women during occupation. Comparable figures for US: 14,175 German wives and 6 husbands enter the US from 1947-1950, plus 1,862 entering as fiancés, and around 35,000 GI brides and grooms emigrating from the UK to the US. 4 Apr Information Control Division (ICD) of American Zone bans Andersch’s journal Der Ruf. 17 Apr British Foreign Office assumes full responsibility for occupied Germany. Minister for Germany John Hynd replaced by Frank Pakenham (Lord Longford) as junior minister in the Foreign Office, reporting to Foreign Secretary, Ernest Bevin. COGA dissolved and incorporated into the Foreign Office. 20 Apr Land assembly elections in the British Zone. 18 May Land assembly elections in the French Zone. 30 May Most remaining restrictions on British-German relationships removed by “Special Routine order 263”, encouraging Control Commission staff to visit German families, but not to “spend the night with them”, and to entertain Germans “both officially and as private individuals”. 5 June US Secretary of State George C. Marshall announces the European Recovery Programme (“Marshall Plan”) in a speech at Harvard. 15 Jul New US directive (JCS 1779) emphasizes reconstruction over the “four Ds” agreed at Potsdam. Aug Meeting of US ICD and German theatre critics in Berlin to determine theatre’s contribution to re-education. Arthur Miller’s All My Sons withdrawn from list of approved works for the German stage by US Civil Affairs Division (CAD). 29 Aug Revised level of industry plan for the Bizone announced, permitting higher levels of production. Fewer factories scheduled for dismantling. 27 Sep USSR founds Cominform to promote and support communist parties internationally. 4-8 Oct German writers’ congress in Berlin. 1 Nov Sholto Douglas succeeded as Military Governor of the British Zone by General Brian Robertson (Deputy Military Governor since July 1945). 11? Nov Carl Zuckmayer’s Des Teufels General (The Devil’s General) opens at the Deutsches Schauspielhaus (Hamburg). 25 Nov London CFM opens. It ends on 13 December with no agreement on the future of Germany and no date set for re-convening. Dec Thomas Mann’s Doktor Faustus published in Germany. 7 Jan Jean Paul Sartre’s The Flies (Die Fliegen) opens at the Hebbel Theater (Berlin), dir. Jürgen Fehling. 9 Feb Reorganisation of Bizone comes into effect, with the US taking greater responsibility for economic development. 23 Feb London 6 Power Conference (US, Britain, France, Netherlands, Belgium, Luxemburg) convenes to discuss Germany’s future. Ends 6 March. 20 Mar Soviet representative Marshal Sokolowski withdraws from Allied Control Council. 16 Apr Founding of OEEC (Organisation for European Economic Cooperation) to administer the European Recovery Programme (“Marshall Plan”). 20 Apr Second session of 6 Power Conference opens in London. 18 May All remaining restrictions on British-German relationships removed at the instigation of Minister for Germany, Frank Pakenham. British personnel told they should “behave towards the Germans as the people of one Christian civilized race towards another, whose interests in many ways converge with our own and for whom we have no longer any ill-will”. 1 June 2nd session of London 6 Power Conference ends with recommendation to the Minister-Presidents of the German Länder in the Western zones to convene a constitutional assembly and establish a democratic state. 20 June Currency reform: Western Allies introduce the Deutsche Mark to Western zones. A few days later a new currency, commonly known in the West as the Ostmark, is introduced in the Soviet Zone. 24 June Western Allies introduce Deutsche Mark to Western Sectors of Berlin. Begin of Berlin Blockade: USSR bans all surface traffic between Berlin and the Western zones by road, rail, and water. Western Allies establish Berlin airlift, supplying Western sectors until 12 May 1949. 15 Jul Veit Harlan, director of the film Jud Süß (1940), formally charged with crimes against humanity by a Hamburg court. 10 Aug Constitutional assembly meets to draft new “Basic Law” (Grundgesetz) for the future West Germany. Assembly ends with completed draft on 23 August. 21 Aug Elizabethan Festival opens in Berlin: lectures, poetry readings, films, concerts by Madrigal Society, and performances of Measure for Measure and The White Devil by Marlowe Society (both Cambridge University). Ends 5 September. 5 Sep The Parlamentarischer Rat, comprising German representatives from the Western Land assemblies, meets in Bonn. 22 Sep Freie Universität founded in Berlin (as the long-established Humboldt University is located in the Soviet Sector). 2 Oct Hessischer Rundfunk (radio station) founded by US authorities in Frankfurt. Oct First issue of Der Monat, an anti-Communist journal for politics and culture, ed. Melvin Lasky. Oct Bertolt Brecht and Helene Weigel return to Berlin. 14 Oct First issue of Hamburger Abendblatt published by Axel Springer (Hamburg). 11 Nov Ruhr conference (of the three Western Allies) opens in London to discuss the future of the Ruhr (ends 24 December). 25 Jan USSR founds Comecon to promote economic cooperation within the communist countries of Eastern Europe (GDR joins in 1950). 20-21 Feb Violent clashes between Jews and German police in Berlin after a screening of Oliver Twist in the British Sector. 3 Mar Trial against Veit Harlan opens in Hamburg. 22 Mar Harlan-trial moves to Berlin in order to interview witnesses unable to travel. 1 Apr French Zone joins the US and British Zones to form the “Trizone”. 4 Apr NATO (North Atlantic Treaty Organisation) founded. 6-8 Apr Western foreign ministers meet in Washington to discuss an occupation statute for Germany (comes into effect on 21 September). 23 Apr Harlan-trial ends with acquittal. 12 May Basic Law approved by the three Western occupying powers and ratified by Western Länder parliaments (except Bavaria). 22 May Klaus Mann commits suicide. 23 May Federal Republic of Germany (FRG) created out of Western Zones. Basic Law comes into effect in this area. CFM re-convenes in Paris (ends 26 June). No further decisions on Germany’s future. 30 May The third Volkskongress approves constitution of the German Democratic Republic (GDR). 24 Jul Thomas Mann arrives in Frankfurt/Main (visits Germany until early Aug). 25 Jul Thomas Mann gives Goethe-year speech in St Paul’s Church, Frankfurt/Main. 1 Aug Thomas Mann receives Goethe Prize in Weimar. 14 Aug Federal elections in West Germany: CDU (Conservatives) 31%, SPD (Social Democrats) 29%, FDP (Liberals) 12%. Other parties (e.g. the communist KPD) fail to reach 5% threshold required for allocation of seats in the Bundestag. Founding of Deutsche Akademie für Sprache und Dichtung (German Academy for Language and Literature) in Darmstadt. 12 Sep Theodor Heuss elected president of the FRG. 20 Sep First FRG government formed with Konrad Adenauer as Chancellor (wins nomination in Bundestag by a single vote). 21 Sep Occupation Statute comes into force, regulating relationship between FRG government and the Western Allies. Law no. 5 transfers full control of media from Allied High Commission to the Germans. 7 Oct German Democratic Republic (GDR) established as an independent state (former Soviet Zone). 27 Oct T.S. Eliot arrives in Germany for a 3-week lecture tour, encompassing 9 cities. 1 Nov First issue of Franfurter Allgemeine Zeitung (Frankfurt/Main).